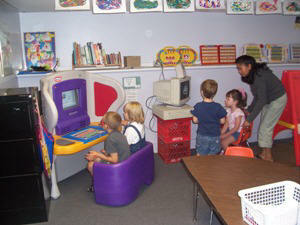 The four year old Pre-K classroom is a place where children prepare for Kindergarten. They are learning more situational problem solving skills as well as academics. Fun and creativity are encouraged. Responsibility is practiced which gives your child a sense of pride.